With the saltwater of the Far South Coast of NSW and the crystal clear water of the Snowy Mountains running through his veins, Jack Biilmann has been surrounded by inspiration his whole life. After five years of national and international touring, six single releases, thousands of spotify plays and two full length albums. Biilmann has paved a reputation as one of the countries most talented singer/songwriter/guitarists. 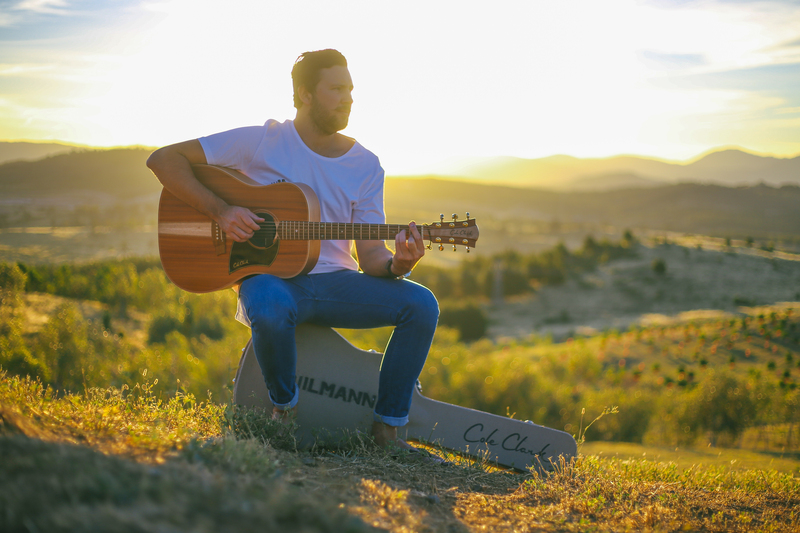 Biilmann’s songs and guitar playing caught the eye of world renowned guitar brands Gibson & Cole Clark guitars resulting in official player partnerships. Whether it be intricate finger style and percussion, clockwork like finger picking or lightning fast licks, Jack’s skill set is undeniable. In the way he delivers his songs, Vocally Biilmann is a true story teller. Whether it be whispering through to sending waves of whisky drenched vocal power, audiences are captivated. Jack has gained vocal comparisons to Eddie Vedder of Pearl Jam and Caleb Followill of Kings of Leon. With the addition of clever foot percussion, harmonica and looping, Biilmann has always had his own unmistaken sound. The last four years has seen Biilmann play over a two hundred live shows/festivals per year while sharing the stage on the festival circuit with some of the country’s biggest artists including John Farnham, The Cat Empire, Tash Sultana, Bobby Alu, Citizen Kay, Ian Moss, Mat Mchugh (The Beautiful Girls), Jay Whalley ( Frenzal Rhomb), Abbe May and Kim Churchill. In January 2016 Biilmann released a touching tribute track “Forever Unbeaten*” dedicated to fallen cricketer Phillip Hughes which was internationally acclaimed and covered by media outlets such as The Daily Telegraph, Fox Sports News & The Herald Sun and press as far as India, Pakistan & England to name a just a few. After spending the majority of 2016 locked away in the studio with highly sought after producer Matt Barnes & world renowned mastering engineer Tony “Jack The Bear” Mantz (Xavier Rudd, John Butler Trio , Silverchair) Biilmann’s second solo STREAMS album was released on February 2017 with a great deal of hype attached with it. Streams charted at #3 on the iTunes singer/songwriter charts and #14 on the Australian Independent Record Labels Association album charts plus glowing reviews around the country. May 2018 saw the single release of “The Hills Have Eyes” which raised the bar, proving to be Biilmann’s most successful release yet. THHE was radio premiered by Triple J, video premiered by themusic.com, debuted at #1 on the Australian ITunes charts and was accompanied by a 26 date national tour with sold out shows scattered around the country.